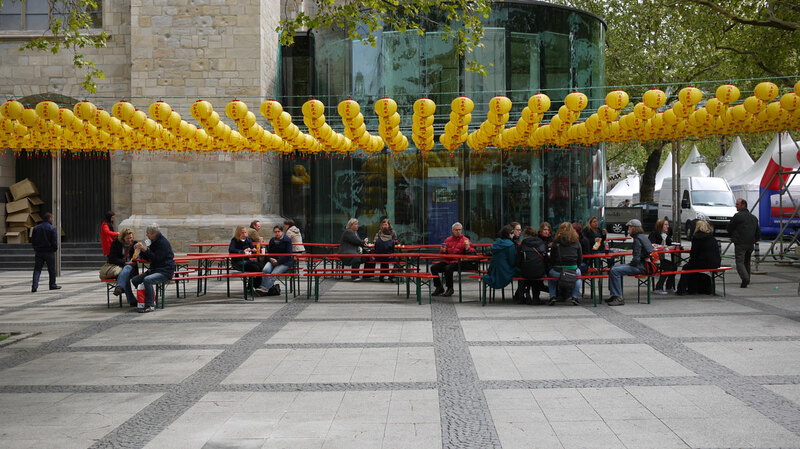 Creating a meeting and resting space in front of the St. Reinoldi church in Dortmund; A ‘free'(of consumption) resting space in the city centre’s main pedestrian shopping streets. 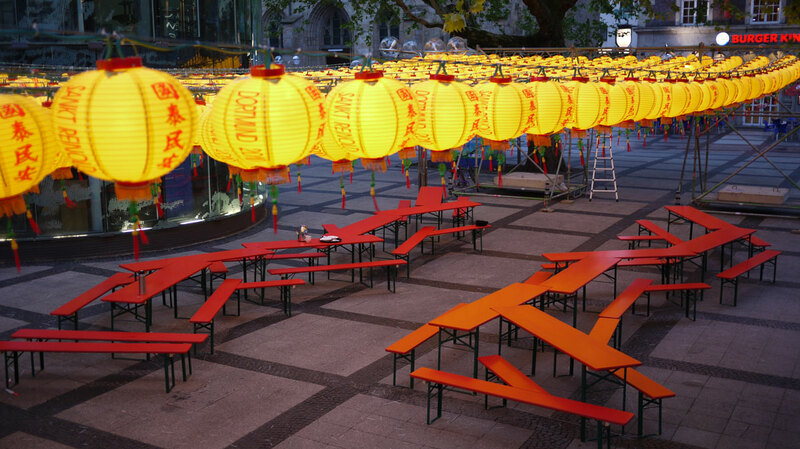 Around 800 lanterns inside and outside the church building illuminated until night time; tables and benches zig-zag-shaped creating a different communication situation. Historically churches in Europe were used even inside as open, ‘public’ places, like a square to gather; of children playing, and people meeting (the austere spaces with mainly praying benches were introduced much later). 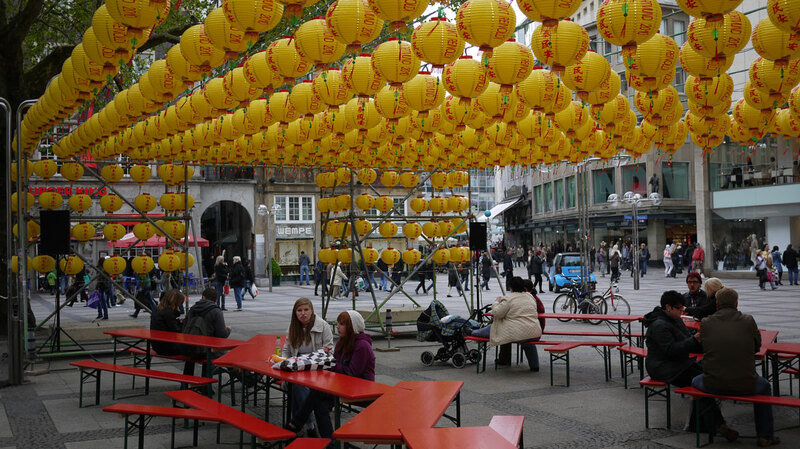 St. Reinoldi is a protestant church that host even today events such as dance or plays inside the church. 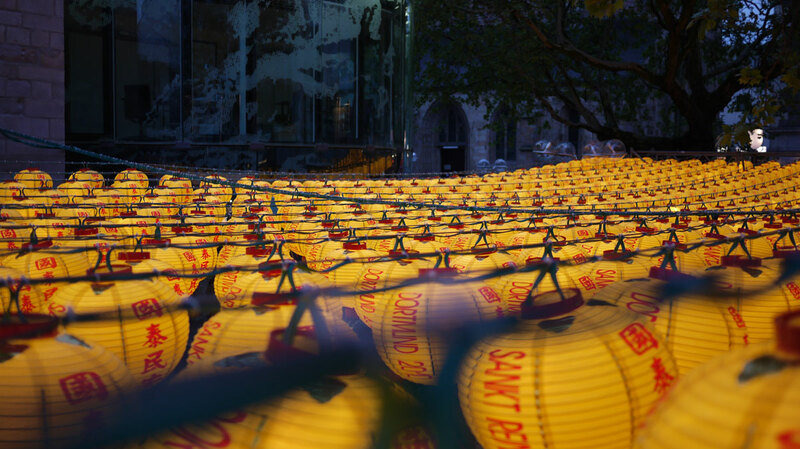 These yellow lanterns are used at buddhist temples (and in the area around these temples) in Taiwan: things we have in common. 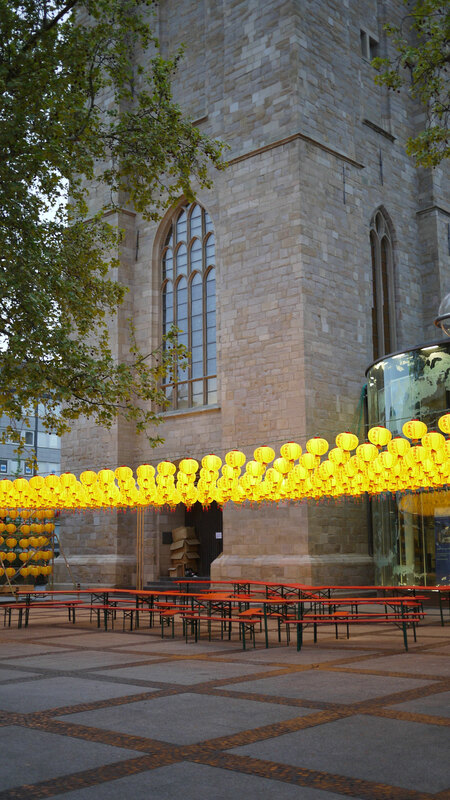 All the lanterns were auctioned off after the use, with the proceeds donated to the church.